My life–both work and personal–has changed so much in the past couple of years with the appearance of my darling daughter, Sacha, now 13 months old, and the birth of the fast-growing Smashing The Glass, just 18 short months ago. I’ve had to strive for a gold medal in multi-tasking whilst also trying to instil some semblance of balance in my life. And when you work from home, your productivity in all areas is both accelerated and impeded. I define myself as a: Wife, Mother, Daughter, Career-Woman, Blogger, Designer, and Adorer of Wonderful People In My Life. With each of those identities comes responsibilities and duties, but most importantly I’m also blessed to say that they come with a hell of a lot of fun and fulfilment! At the grand old age of 39 (yes I turned the big 40-minus-one a couple of months ago), and with the birth of Sacha, I feel like I’ve designed a life where I revel in every minute and am surrounded by, and immersed in, people and projects I love. In all honesty I’m exhausted most of the time but I also feel extremely privileged to have such a satisfying career and home life. I know that my daughter will only be little for so long, and I am lucky to get to spend the extra time with her that I do. I have part-time child-care but I’m running a full-time business so it’s a constant juggle and shifting of priorities. I’m often working around the clock, in the evenings once Sacha is in bed, on weekends whilst she’s napping, and pretty much anytime I’m waiting, walking or watching TV thanks to my multitude of Apple gadgets. And guess what? 2015 is set to be even crazier. Yes I’m pregnant with number two — due in April 2015 (the same time as Kate and Will’s next-in-line no less!) — and to be honest I’m not sure exactly how I’m going to cope. I simply can’t forecast what extra childcare I’ll need until the situation is a reality. I want to remain as hands-on as possible with darling Sacha, the newborn, and the blog, and that always seems like an attainable dream when you work from home. Annabel Beeforth, founder of one of the world’s top wedding blogs, Love My Dress, wrote a series of ‘self employed journals’ several years ago, and I particularly resonated with this post about her desire for, and struggles with, a healthy work/life balance. I think all working mums will empathise with Annabel’s honesty, and that extra layer of running a business from home, only magnifies the highs and lows of being a self-employed mama. This subject really interests me and next year I’ll be running a series where I interview all sorts of fabulous women in the wedding industry who successfully combine running their creative businesses with marriage and in a lot of cases, a young family. There’s a super-fun twist to this series too so watch out for it in the early part of next year! One of the many talented females I’ll be interviewing is the phenomenal Laura Babb, of Babb Photo who’s responsible for all the incredible imagery on this page. Laura is a documentary photographer, specialising in photographic story telling and creative portraits, and she visited me at home a couple of weeks ago to snap me during a typical work day; beavering away on the blog; having a break with my daughter; and on a little trip to nearby Primrose Hill. It’s my favourite spot in London, and it just so happens to be where my husband also proposed! Laura was such a joy to be around and work with. She really put me at ease and if you’ve ever had portraits taken, you’ll know how awkward it can feel if you’re not being photographed by someone who makes you feel truly comfortable. 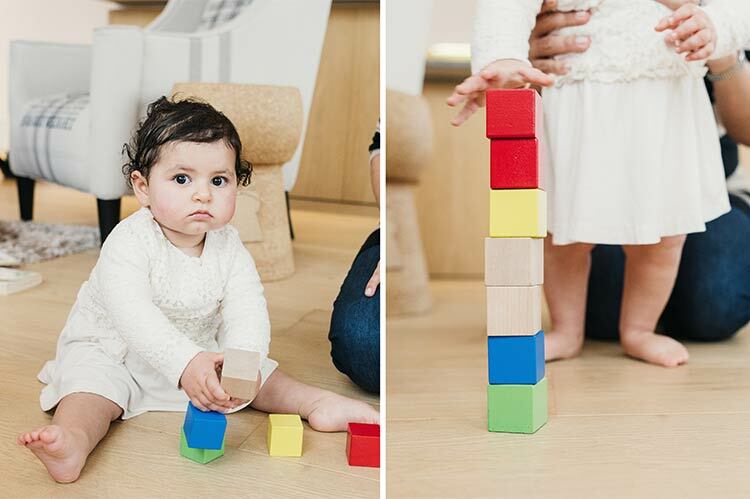 Laura was exactly that — I barely even felt she was there, yet her shots are remarkable! 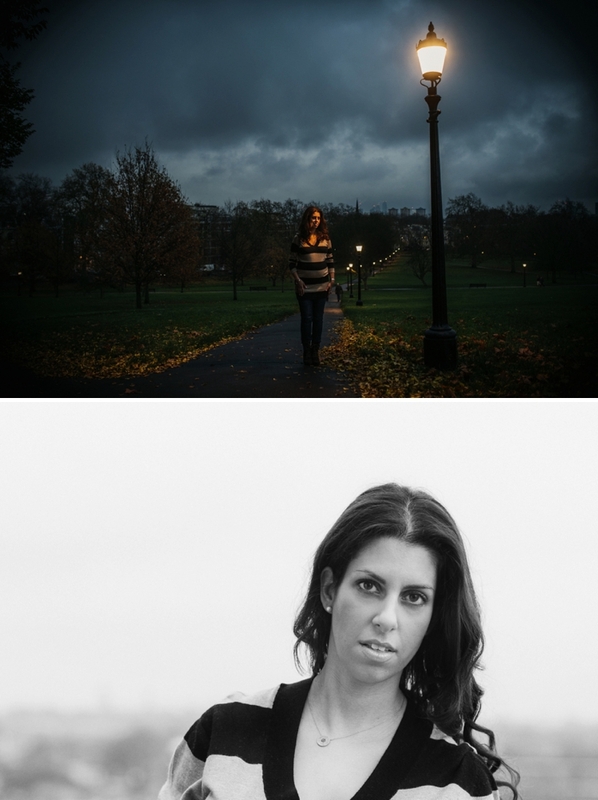 If you’re still contemplating your wedding photographer, I would highly, highly recommend her. She’s based in the UK but travels worldwide and her wedding photography is simply extraordinary. In fact, I am such a fan, that I have just added her as an official Smashing Supplier. 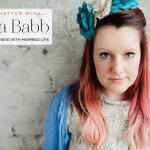 Check out her listing, with lots of examples of her wedding work, right here! I’d love to hear from you — are you self-employed? What are your tips for effectively juggling motherhood with running a business from home? 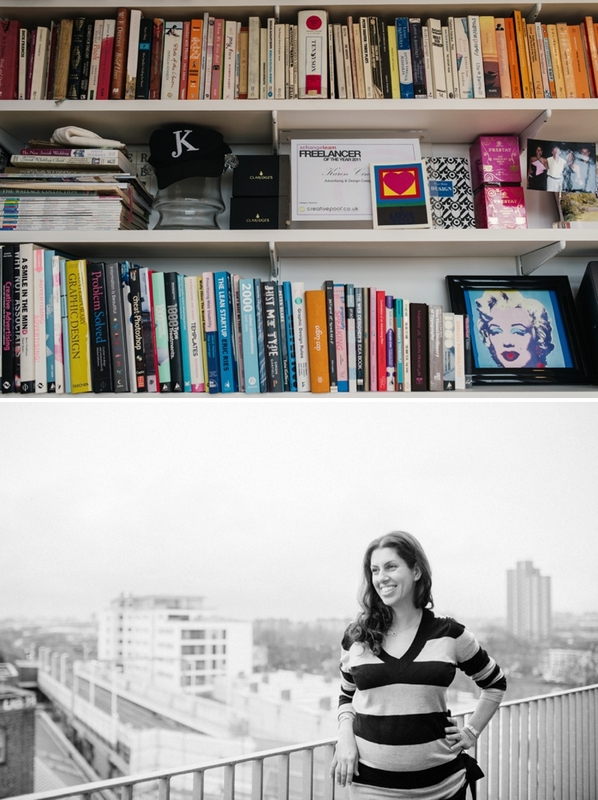 All imagery: Babb Photo, taken at home in Kentish Town, London, and on location on Primrose Hill. 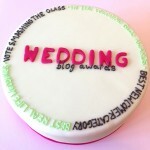 STG has been nominated in two categories in the 2016 Wedding Blog Awards! 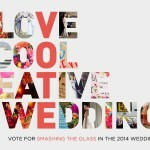 I’d love you to nominate Smashing The Glass in the 2014 Wedding Blog Awards! It’s very easy when running your own business, especially from home to feel like you constantly need to be doing something related to the business so I believe one of the most important things is to schedule time that you will and won’t work, set your own personal work hours that fit around you and your family and personal commitments. That doesn’t necessarily mean you stil follow standard 9-5 office hours but choose days/hours that suit how you like to work and let people know too, especially clients, so they know when they can contact you. I look forward to reading the rest of the series on this. Totally relate to this post. I launched my business 3 years ago when i was pregnant with my son and Ive since had a little girl (now 18mths). Mum, housewife, runner, cleaner, self employed worker, blogger, friend, advisor… the daily list of what i am and do goes on and on!!! …I just wish I could stop that pathological need of “just doing one more thing” before I switch off. I just can’t stop when it’s time to stop! Hi Karen, great post and a topic close to my heart. 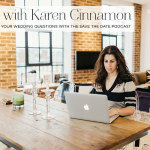 I’ve owned my own wedding planning business for 11 years and I’ve experienced it pre-kids and post having a little one (I have an almost 3 year old daughter). I agree with Andri that you have to be disciplined with yourself first and foremost (hard when you love what you do and it’s all down to you) but it allows you to keep going and not get burnt out. I’ve seen lots of company owners throw everything into the business but get utterly exhausted and then close down which is very sad if they are talented. I have set childcare days and hours (and my daughter has to be out of the house for sure) so I know when I can work and when not and I do work some weekends and evenings when I need to but again that’s often “family time” so I am mindful of that and only do things if really essential at those times. I can’t do as much as I used to and as a result I take on less wedding projects than before kids and I’m stricter about what I will and won’t take on; the reality of nursery fees is a good and constant reminder that everything I do has to be profitable and make business sense. There are some days for sure when I crave being able to leave the office and leave it to somebody else but I also know I absolutely love self employment and the flexibility it affords me and I wouldn’t change it for the world! I couldn’t agree with you more Kelly, and great advice – thank you! Like you, I feel so privileged that my life is filled with so many things that I love to bits. I think that’s part of the problem though – when you love what you do you don’t always WANT to find a balancing act – you just can’t stop – and then you collapse into a heap the moment you do! I’m a Libran and I strive for balance in my life… that’s my 2015 resolution for sure. I’ll be working on it.. watch this space! Hi Karen, absolutely. The trait of a business owner who does something they love, is that they never stop and are always pushing on. It’s the hardest thing forcing yourself to find the balance. It’s one of my resolutions too for 2015 – perhaps we should keep a check up on each other?!!! Oh thank you for that wonderful comment Nathalie – I loved reading the story of how you’ve got to where you are. I really do love hearing about each and every one of these inspiring tales. The running thread (and you’re a great example of this) is EMBRACE it all! So delighted by your (double) news, Karen. Mazel tov! As someone who runs their own business and looks after a wonderful 2 and a half year old toddler, I know what it means to juggle. I also know that as driven as I am and as much as I love the career I’ve carved myself with blood, sweat and tears, nothing will drive me as much as my love for my little girl. I’ve learned to plan – A LOT – and learn where to spend my time best. Sometimes I can’t give the 110% I used to. I needed to give myself a break; 100% is just fine. Lovely to hear from you Alexis. We really are so very privileged to be in a position to even write on such a subject…. but we (or I!) want more! I want all these wonderful things and I want to never be tired and I want to have plenty of time for my husband, family, and friends, as well as my daughter and my work. At the end of the day maybe I just need to embrace the madness and just say whatever I can achieve is good enough…. Gosh such an inspiring post and inspiring comments. I shall be printing this post out and framing it, so, If I am lucky enough to have children one day I will know what to do to make it work!